Written by Irene Anton on June 21, 2018 . Posted in General News, Group activities. 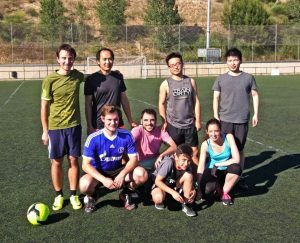 Coinciding with the World Cup currently taking place in Russia, the N&N group organized its own event! 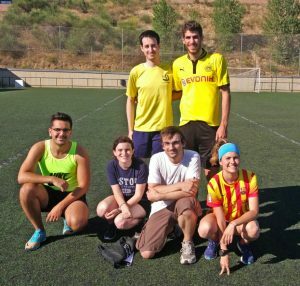 The Catalan selection (left) beat the International team (middle) in a tight match: 12-11! N&N Group members climbed the PEDRAFORCA!